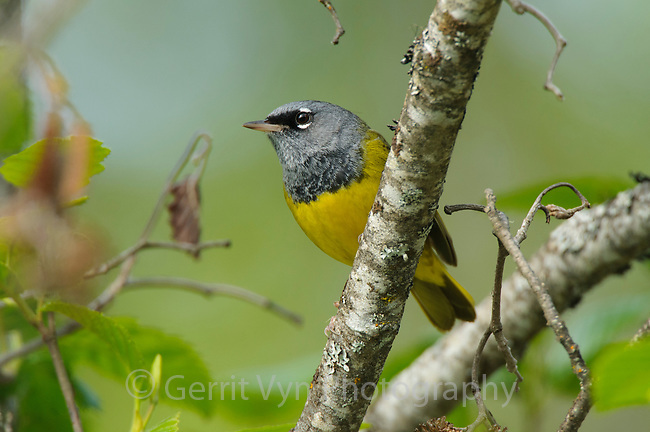 Adult MacGillivray's Warbler (Oporornis tolmiei). Pend Oreille County, Washington. May.